Ace Ticket Gift Cards are the perfect gift for the Holidays, Birthdays, etc. 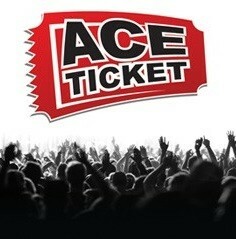 Ace Ticket gift cards never expire and can be used for any event that we sell at AceTicket.com. If you'd like to purchase a gift card in a specific amount not listed, please call us at 800-697-3287.